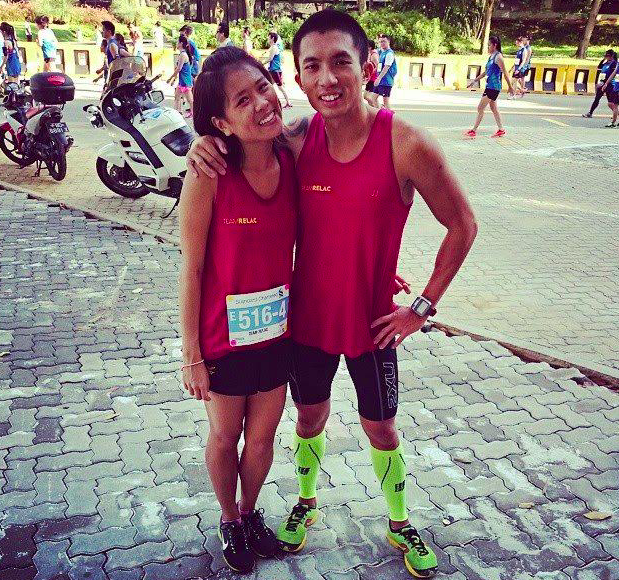 Interview With JJ & Mei Hui – Couples Who Run Together, Stay Together | JustRunLah! JJ – Hi, my name is Jingjie (JJ). I have always enjoyed exercising and running is my main sport. I constantly set new running goals for myself and tailor my training plans to meet these goals. Mei Hui – Hello everyone, I’m Mei Hui. 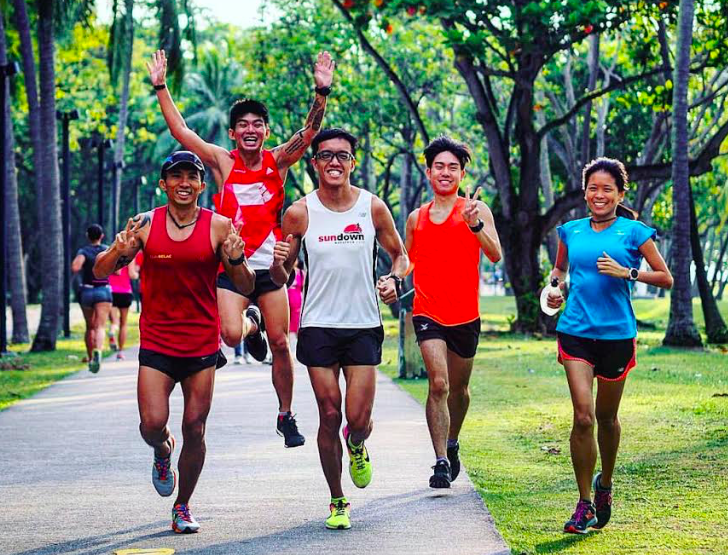 I’m just your regular runner who enjoys running and training alongside likeminded friends. Occasionally, I will also post motivating posts on my Instagram (relacrun_mh) to try to encourage myself and others to keep going. 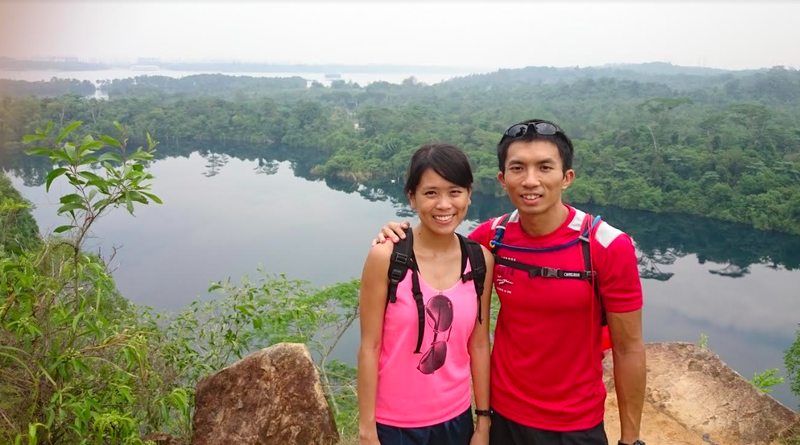 JJ & Mei Hui – We met in a running group that used to run in the city area. I was already in the group when Mei Hui joined and I remembered her first session was a hill training session. I noticed that she was pretty fast and hence went forward to compliment her and introduce myself after the session. That was how we became friends. JJ – I only started running in 2011 when I was 26. Before that, I mainly did gym workouts but had no cardio training. It was due to an unfortunate lower back injury in 2010 that I was advised by my physiotherapist to train up my core muscles and avoid lifting heavy load. Hence, I decided to pick up running in early 2011 and never looked back since. In that same year, I joined my first race (a 6km fun run) and eventually progressed to my first marathon (Sundown), completing it with a timing of 5hrs 11mins. During that first year of running, I was thankful to have met a few experienced runners who patiently guided me along. Their personal running stories serve as a great inspiration to me till date. For example, there are some of them who started running only in their 40s but are now podium winners, and there are some who have been running for 40years! I felt that if they can, I can too. 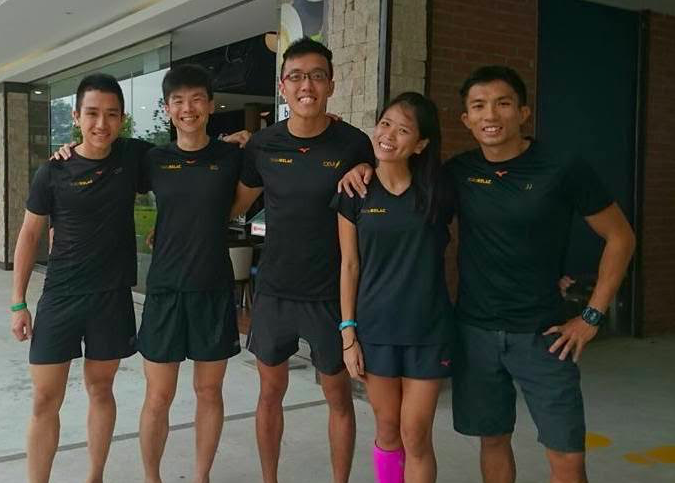 Mei Hui – Running used to be something I hated back in my schooling days and I remembered running as fast as I can every Napfa test/cross country to shorten the agony. I only picked up running back in 2009 to stabilize my yo-yoing weight, but gradually grew to love it as I found it very therapeutic. Back then, 2km felt really long but gradually I was able to progress to 5km, 10km and eventually 21km within a year. I guess the endorphin rush after completing a run really kept me going and as I got faster, I got more motivated. Looking back, it was a superficial reason that started me running, but it had really transformed my life. Along the way, I have been blessed to meet many likeminded runners, who inspires me in many ways, be it in their own running journey, their commitment to their trainings, or their never-dying passion for the sport. They showed me that though running is a solo sport, the journey need not always be lonely. 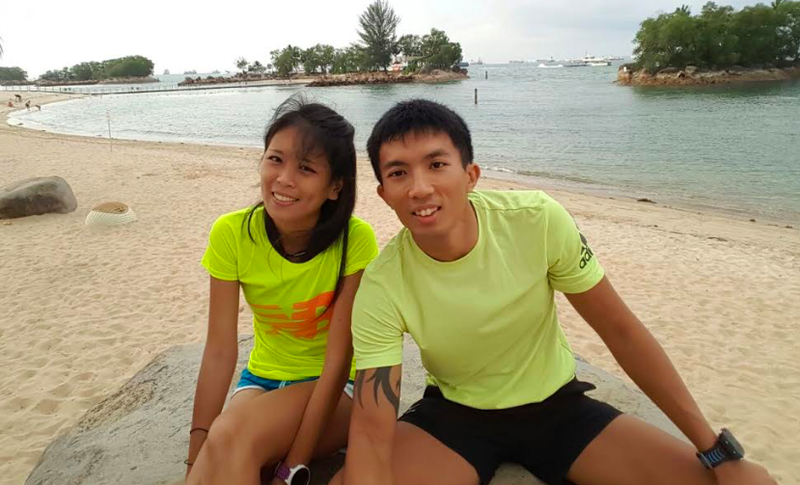 JJ & Mei Hui – Being able to run and stay fit is already a reward in itself. To top it off, we have been blessed with many valuable friendships forged that would not have happened without this journey. Achievement wise, we only count ourselves lucky with our occasional podium wins or PBs, and these offers great consolation for the efforts we put in. JJ – Think about how far you have conquered ever since the day you started running till date, and that’s how strong you have became. 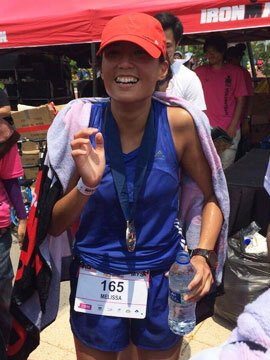 Mei Hui – Similarly for me, I will tell myself I have come this far, I have trained so hard, it is not time to quit now. I too always remind myself it is not a race against others, at the end of the day, it is a race against myself. JJ & Mei Hui – Haste make waste. Whatever training you are embarking on, start gradually and make sure you are comfortable before stepping it up. Be consistent in your training and listen to your body. Rest days are as important as training days and don’t neglect that if you want to run long-term. Mei Hui – A lifestyle! It isn’t just about how you look, how fast or far you can run, or how many more reps you can do as compared to someone else. Sure, those are likely outcomes. Personally, I think it’s more of a commitment to incorporate exercising into your lifestyle and to constantly strive to improve yourself in that aspect. At the same time, you need to listen to your body and make sure you rest sufficiently and eat healthily. At the end of the day, fitness is really about achieving a stronger, healthier version of your old self, not a challenge against someone else.